I am a fully qualified counsellor and a member of the British Association for Counselling and Psychotherapy (BACP). 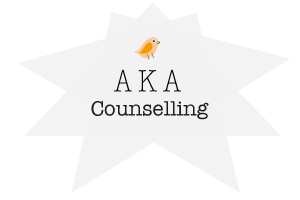 I have worked for two other counselling organisations, and now currently as a private counsellor. I also have over 10 years mental health experience. I am qualified to work with children, teenagers, adults and the elderly. Counselling is a process that psychologically empowers individuals to seize back control of their lives. It involves working together through issues and problems that may have caused them to lose their self-esteem, as well as confidence in their abilities. Counselling increases self-awareness and a sense of well-being, and is often the first step individuals take on their path to discovering a more positive life. One to one counselling brings client and counsellor together in a quiet and relaxed environment with no distractions. You are able to talk freely without judgement and you can talk about whatever you wish. Within this therapeutic alliance, often old buried emotions and hurts can be brought to the surface and dealt with safely or in other circumstances a new clarity may be revealed. HOW LONG DOES COUNSELLING TAKE & HOW MUCH DOES IT COST? Each session with me would last for an hour and take place weekly or fortnightly at a cost of £35 per session. My plan would be that after every six sessions I would discuss how you felt the counselling was working for you. I am a fully qualified counsellor in Person Centred Therapy (PCT) and Play Therapy for children. Using your computer at home via Skype, FaceTime or via email More information can be made available upon request. Confidentiality is important for both myself and my clients. If a client were to call me and I was unable to answer, my voicemail message would not mention my name, profession or the name of my company. I would return the call when I was available but again would not leave a message with any details. All client related information and their personal details will be held in a secure and separate place and their names will not be stored in my phone. I use initials of clients and the notes related to them are stored separately, safely and securely. After each counselling session has ended or when clients are no longer in therapy, confidentiality would still apply and if I came across a client in public I would not engage in conversation or acknowledge them unless they approached me.